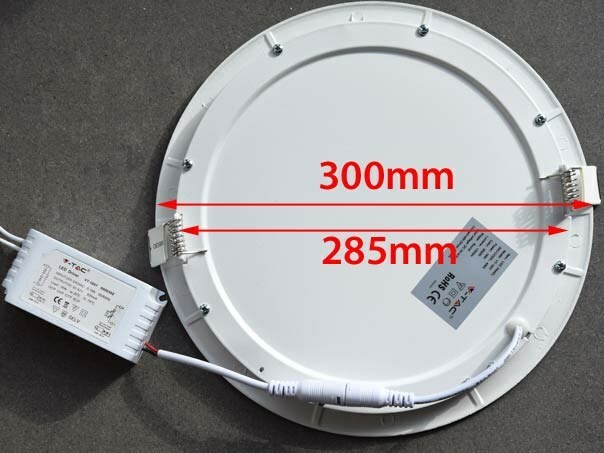 Big 300mm round LED Downlight / Mini-Panel for a 285mm hole diameter. Available in 2700K warm white, 4500K neutral white or 600K daylight white. On request a dimmable LED-driver can be ordered as well. Big 300mm round LED Downlight / Mini-Panel for a 285mm hole diameter. Available in 2700K warm white, 4500K neutral white or 600K daylight white. 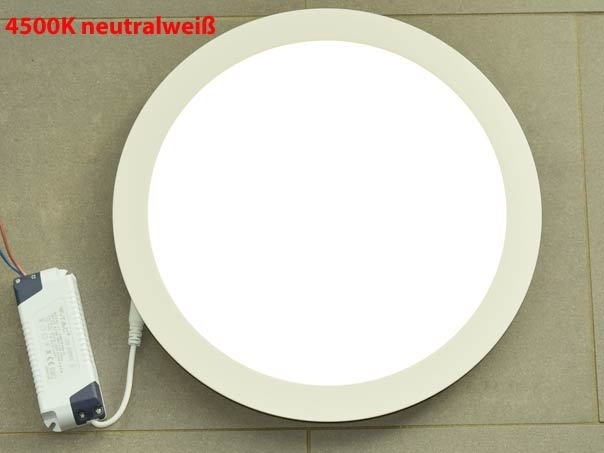 On request a dimmable LED-driver can be ordered as well. This is a TRIAC dimmable LED driver. With 24W power consumption it creates a luminous flux of 1700 Lumen . This is as bright as a conventional 100W E27 bulb. 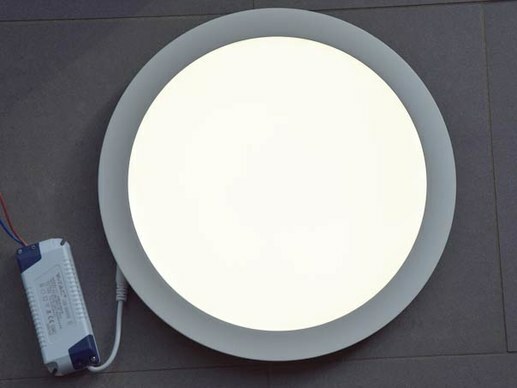 So this big 300mm LED Downlight can also be used in higher installations. The installation is very simple. 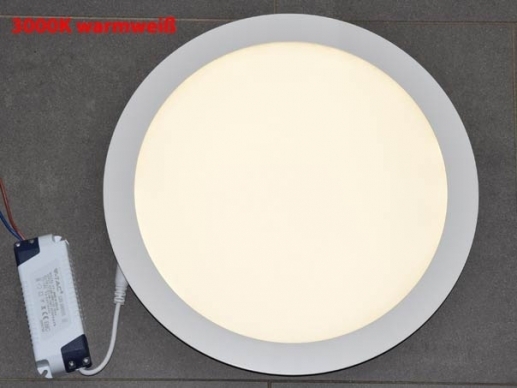 This 24W LED Downlight from V-TAC will be delivered including LED-driver and replaces a 100-120W conventional downlight. The manufacturer mentions a product life time of 20.000 hours. The beaming angle is 120°.